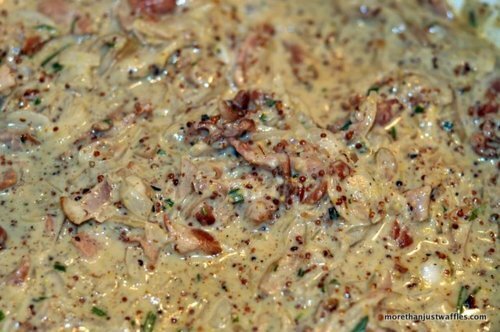 Following a craving for creamy mustard pasta I came up with this recipe for Mustard Carbonara. I added “Canadian” to the title since I added some local Ontario maple syrup. I started by making the protein. I combined a few of my favourite ingredients to make the marinade. Since I didn’t plan ahead I seared the chicken to ensure it turned out nice and juicy. 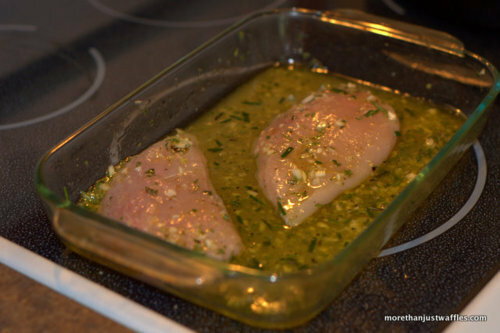 Just add the chicken to a hot pan (about medium heat) and sear for a few minutes on each side. Then add it back to the pyrex and stick it in the oven. If you’re using a cast iron pan like I do (or a stainless steel pan) make sure it’s nice and hot before adding the chicken. 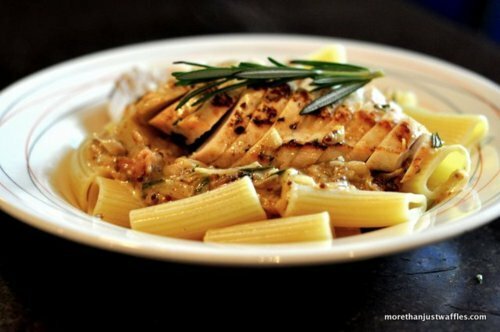 That’s the trick to avoiding the chicken sticking to the bottom! I then used the same pan to prepare the bacon - which is what makes it a carbonara! I added some more freshly chopped rosemary to the bacon. In a pot bring 1L of water to a boil and add pasta. Cook according to box directions. In a pan sauté the onion, shallots and garlic until soft. 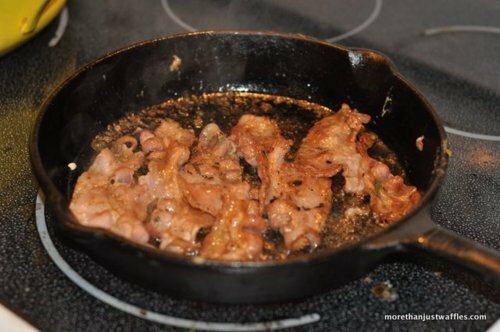 In a separate pan fry bacon on low heat with rosemary. Chop bacon when finished cooking. Add mustard, whipping cream and maple syrup to onion mixture. Simmer for 5-10 minutes and add bacon. Drain and rinse pasta and combine with sauce. 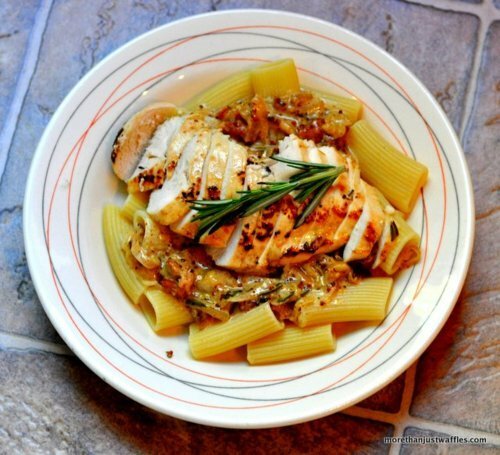 Combine all ingredients in a Pyrex dish. 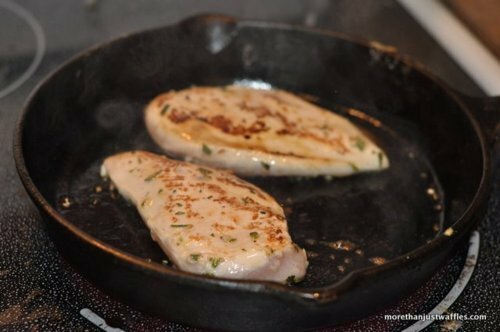 Sear chicken in a pan on medium heat on both sides for about 2 minutes per side. Return to Pyrex and cook on 325 for 25-30minutes. Use excess (cooked) marinade as salad dressing.